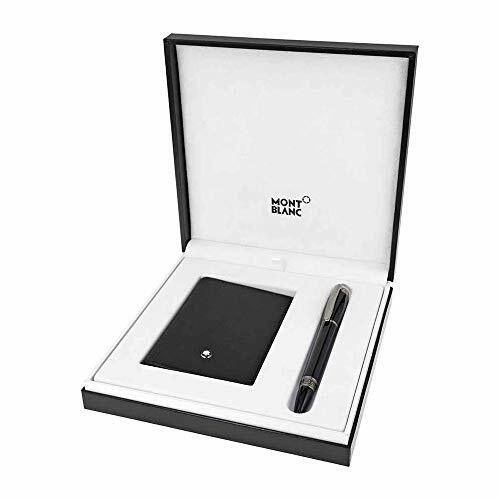 A Montblanc set, featuring a StarWalker Midnight Fineliner and a Black leather business card holder. Fineliner Pen: Crafted in Black precious resin, featuring a ruthenium-plated clip. Business Card Holder: Crafted in black leather with a carbon fiber woven look, lined with cotton fabric. Compatbile Refills (not included): Mystery Black, Pacific Blue, Nightfire Red, Fortune Green, Chestnut Brown, Amethyst Purple, Barbados Blue.